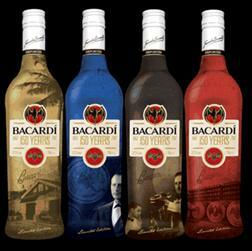 Barcardi are celebrating 150 years this year and to celebrate this, they have released a set of 4 Limited Edition Bottles. Bacardi is the largest privately owned spirits company in the world and is also the most awarded rum in the world, with over 400 awards to their name! Here at Girls n Gadgets, with the launch of our new Lifestyle section imminent, we thought we would start our party with a bottle of Bacardi, so why don’t you! For a chance to win a bottle of Limited Edition Barcardi, come and like us on Facebook or follow us on Twitter and leave us a message and tell us where your ideal party would be held and how you’d start your party! Winner will be announced on Monday 6th August 2012 – Good Luck! you’re using? I’m planning to start my own blog soon but I’m having a hard time making a decision between BlogEngine/Wordpress/B2evolution and Drupal. The reason I ask is because your design seems different then most blogs and I’m looking for something unique. Hiya, I’m really glad I have found this info. Nowadays bloggers publish only about gossips and internet and this is actually irritating. A good site with interesting content, that’s what I need.